Frederic Church was a preeminent artist of the Hudson River School, America’s first native art movement. Explore Church’s history as an artist through the paintings and collections on both floors of Olana’s Main House. 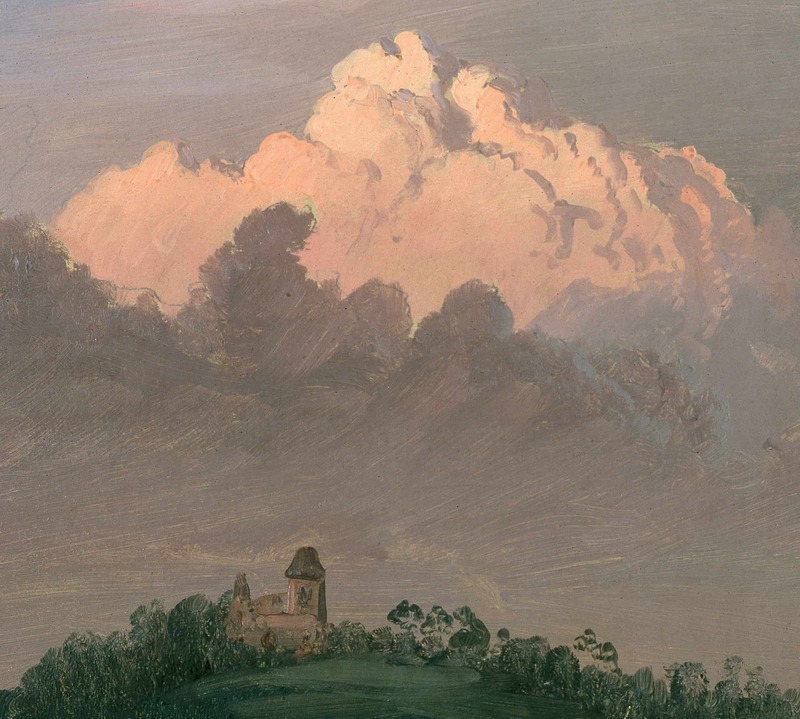 This guided tour highlights elements of Olana’s house and collections to tell the story of Frederic Church as the most famous Hudson River School painter. Participants will learn about Church’s early years as a student of Thomas Cole, the inspirations for Church’s explorations and paintings, and the intersection between Church’s spirituality and 19th century advancements in the natural sciences. This participatory experience is best paired with a landscape Walking Tour. Frederic Church and the Hudson River School credit is: Frederic Edwin Church, Clouds over Olana, August 1872, oil on off-white paper, 8 11/16 x 12 1/8 in., OL.1976.1. Collection Olana State Historic Site, NYS OPRHP.